Help! The little canary Twiggy is lost! Did the cat eat it? Nope, but it does appear to be a kidnapping! In Mystery Loss, a grandmother and her funny cat Leonardo have to find out who kidnapped little Twiggy. 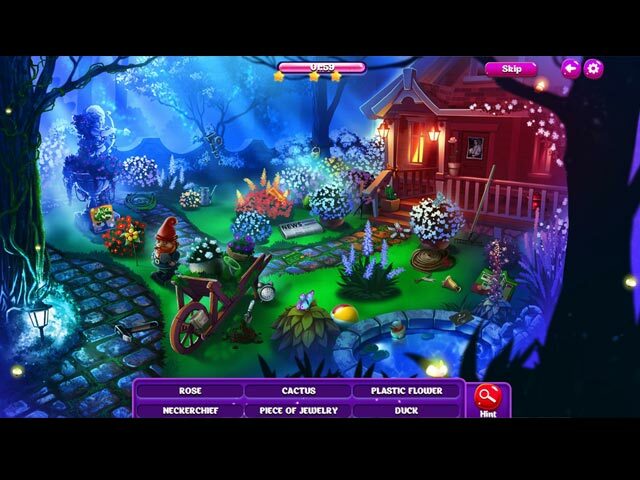 Join them on their journey in this adorable match 3 and hidden object mashup. Come join the investigation! Mystery Loss is rated 3.2 out of 5 by 22. Rated 5 out of 5 by LanaPook from Fun and challenging! 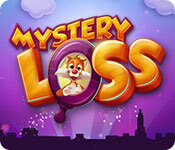 Mystery Loss is a better than average match 3 game. Aside from cute graphics and sound this game is a challenge. Be careful how you spend your money. I had to start over because I ran out. If you are not careful you won't be able to buy the power-ups necessary to beat some levels. You have been warned. Rated 5 out of 5 by mikesilverman from Be a Ghost Buster This game is very addicting. 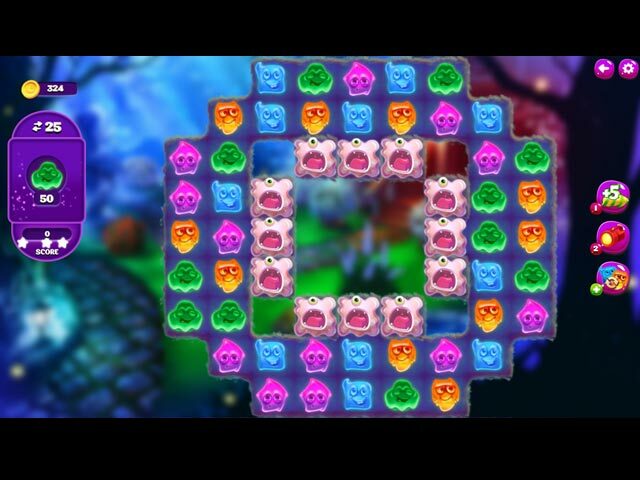 I don't know if it's simply because of the quirky smiling ghost faces all across each board, or the silly ghost-laughs they emit when you blow them away or the unique boosters like the Plasma ball and Light cannon, flashlights to chase a ghost out of a single square, extra-turn icons, multicolored ghosts that will eliminate all ghosts of the same color on the board. Matching 4 or more helps create a ghost-bomb that will blow out rows and columns across the board. This game is packed with fun features that make you want to keep playing. 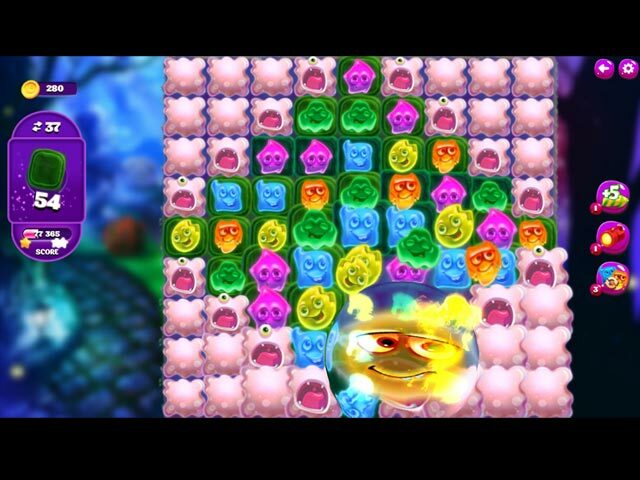 The games boards must be cleared within a certain number of turns ( displayed on the left ) and each game board has a goal you must reach, such as eliminating a certain number of ghosts or tiles etc. I normally prefer a timed match-3 game than one with limited moves, but I found that limited moves is no problem if you just think ahead a little bit, the game boards can be cleared. Also you can "buy" more turns if you are running out. I like this so much because it is different than your average match-3 game. This game was designed with fun in mind, and it is.. very fun! Rated 5 out of 5 by dakotadreamer from Ghosts abound Sometimes it hard to find a match 3 that has a good story to counter the number of them out there. Cute, fun, and at times challenging if you are like me and need 3 stars on every level. Rated 5 out of 5 by catlynn54 from An entertaining match-3 Match-3 is one of my favorite genres. This is a cute, fun game. It does have a move limit but one can buy extra moves with coins earned during the game. I recommend this one. Rated 4 out of 5 by Luvago from More than match 3 At first I thought this may have been a good game for kids, but soon changed my mind. The graphics are kid oriented & the storyline, but I got stuck on a couple of levels - got up to about Lvl 13 in demo due to this. This is a goal in alotted moves game, for usual up to 3 stars per level, & earned coins you can use to get yourself out of trouble. If all fails you can try lvl again until maybe you succeed, Boosters are seemingly rewarded to you as you progress & shuffles are automatic. There are components to be found (HO) & more to be moved down board. For some reason the squares are ice that you break, & the board MOVES in all different directions on some levels, which can either help or hinder. So this can be a bit of a challenge. The characters (maybe ghosts) are rather cute & the sound effects & music are pleasant, although the music seems to have a certain urgency about it. This is a bit of a change to the usual M3, so maybe try it & judge for yourself. A Canary is lost! Assist a grandmother and her funny cat Leonardo on their investigation into the mysterious kidnapping.